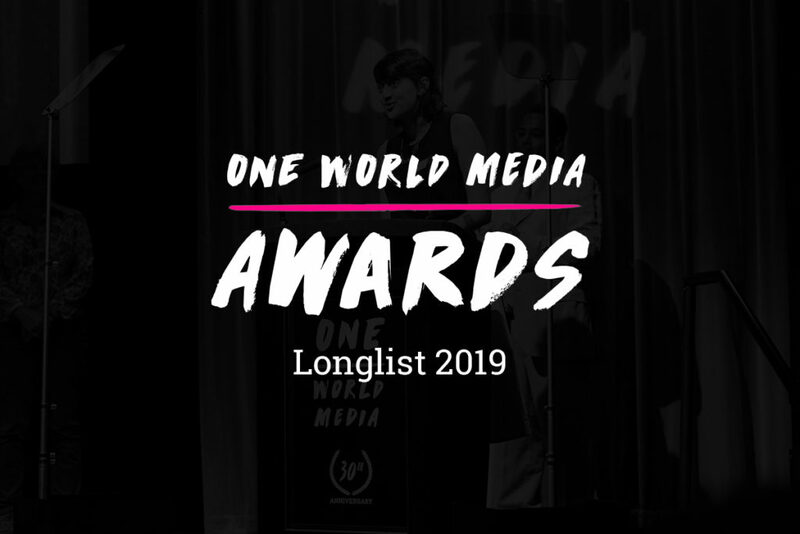 After receiving a record-breaking number of entries, we are delighted to announce the longlists across all 15 categories of this year’s One World Media Awards! The One World Media Awards celebrate the industry’s best coverage of developing countries, with this year’s entries being of an exceptionally high standard. We received nearly 500 entries from more than 50 countries around the world, with an incredible range of work reflecting the truly international nature of both the entrants and the stories. From highlighting the ongoing plight of refugees and asylum seekers through our Refugee Reporting Award, sponsored by the British Red Cross, to championing the work of emerging talent through our New Voice Award, across 15 categories the Awards celebrate journalists and filmmakers whose work bridges the divide between cultures worldwide. This year has also seen the introduction of two new awards: the Environmental Reporting Award and the Children in Conflict Reporting Award. The Children in Conflict Reporting Award, sponsored by Save the Children, has given us the opportunity to shed light on an important and often overlooked area in reporting from conflict zones, whilst the incredible range of entries to the Environmental Reporting Award demonstrates the power of human resilience stemming from the global environmental crisis. The final three nominees in each category will be announced later this month, and the winners will be presented at the Awards ceremony on Monday 17 June at BAFTA in London. A limited number of tickets to attend the Awards will be available for purchase via our website in late April. Sign up to our newsletter to keep up to date with all our Awards news and info. We are very excited to share this longlist with you – representing the industry’s most exceptional work from and about developing countries. A huge thanks to all who entered, and to our sponsors and supporters who make the One World Media Awards possible.